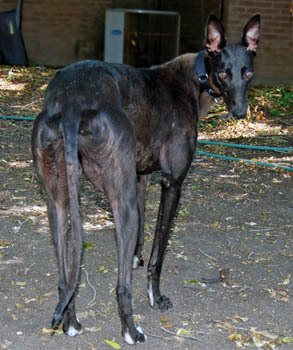 Casey is a 1½-year-old black male born on November 17, 2010. His sire is Lonesome Cry and his dam is Kayjay Obsession. 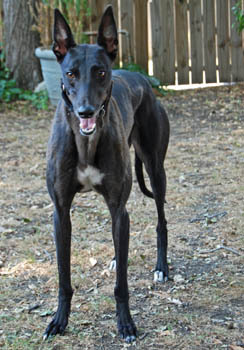 Casey was turned in to an Amarillo shelter, and from there joined the GALT family. He was not individually registered and has no races to his credit. This smaller boy is a real sweetheart! 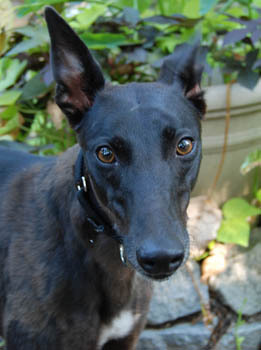 Casey is cat trainable and is living in a foster home with cats and other greyhounds. 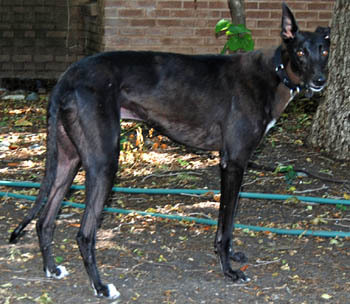 He will do best in a home with the companionship of people or another dog during the day.